Living with Logan: Dolphin Organics Review and #GIVEAWAY! 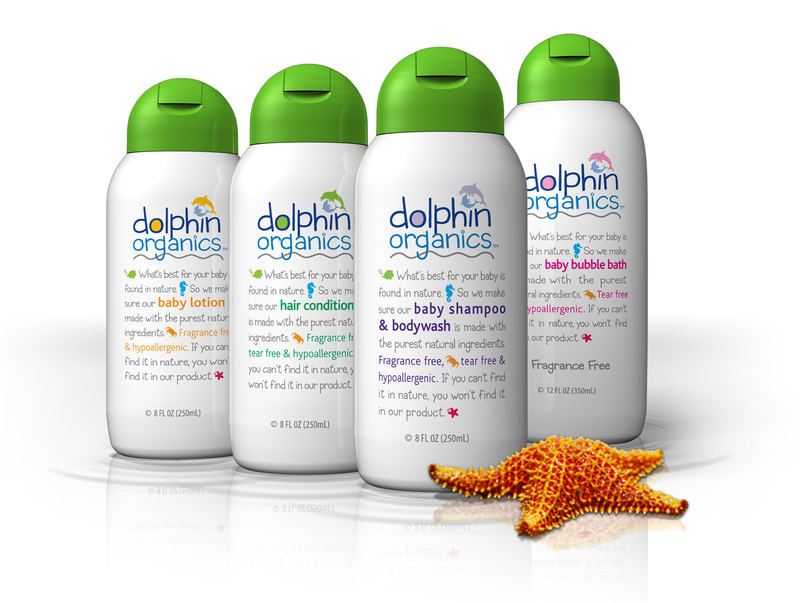 Dolphin Organics Review and #GIVEAWAY! Remember how I told you that fun things were going to happen here as a result of my trip to BlogHer? Well. Here we go! Dolphin Organics™ is a family-owned and operated company right here in the USA. We are committed to making the best, most honest organic and natural products for your baby, while holding ourselves to the highest standards. I spoke to Nigel and Ayo Hart, who founded the company, for quite some time at the Expo, and I was sold before I ever held one of their products in my hand. Check this out! Their products are not only organic and natural, they are...... LOGAN SAFE! This means that there is nothing in the ingredients of ANY of their products that will hurt my extraordinarily allergic little guy. Until this point, there was no such thing as a commercially made soap, lotion, bubble bath, or hair conditioner that did not make Logan's eczema itch and sting, or even make him break out more severely. 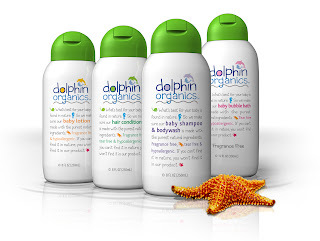 With the products from Dolphin Organics, I was able to use the shampoo/body wash, the hair conditioner, the bubble bath AND the lotion with not one adverse reaction from Logan. Not one!! He didn't scratch. He didn't cry and shriek "Owie! Owie! Get it off!" from the burning sensation hidden alcohol in other products causes. This is a phenomenal occurrence for the Monster House. Best of all? These products are all tear free and unscented. Now, I know that you have all tried unscented things in the past and thought, holy cow, that smells horrid! But in this case ( and this may be a little more honest than Nigel and Ayo may wish for), after bathing and lotioning Logan, #6, and notorious #5 with these products, the only thing the Daddy said was, "Hey, I smell Cheetos!". I consider this a success, since the Daddy has a nose more sensitive than a bloodhound. As parents of twin girls, we wanted to use only natural and organic products for them. We found that most big brands contain artificial ingredients, and that many products whose labels claim to be natural and organic also contain artificial and potentially harmful ingredients. We decided that the best way to get the products that we wanted was to make our own. And so, that's exactly what they did! Here's the fun and exciting part! Dolphin Organics would like to have a giveaway! One lucky person will win a travel set of their products! This set includes four 2 ounce bottles of bubble bath, baby wash/shampoo, hair conditioner, and baby lotion , along with a natural sponge and attractively packaged in a mesh pouch for easy storage or travel. These are also perfect sizes for diaper bags, backpacks, or mom's purse. 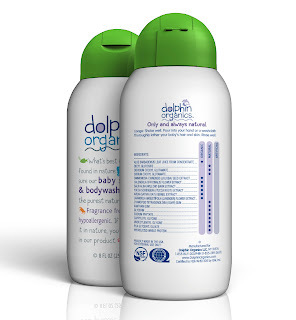 All quotes, logos, and images are copyrighted property of Dolphin Organics and used with permission. I was given free products to review. I was not compensated in any other way!